Another big sales also happening, at Billion Kota Permai. My mom ask me to go buy 2 tin of crackers and 2 packet of cookies with oat. 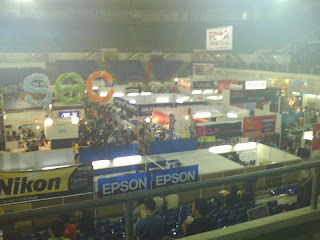 I reach there just on time as there are time limit for special discount, and I was shock. People already reach there much earlier and fighting to get what they want. First time ever I shop like this, after I get all the item I want, I line up to wait for my turn to pay money, surrounded by aunties and uncles=.="" and the worst part, i waited for almost 2 hour til I finally reach the counter, somemore got 3 aunty cut my line=.=""
Me : 不是不是 (No No) =.=""
Swt... 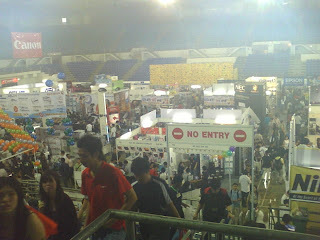 Wish I can follow my friends to PC Fair today =.=""